What is a city made of? Which of its components depend on us, architects and citizens, and which of them are inherent, given by destiny, history, geography? Alexander Rappaport speaks about why the Sky, almost a natural element of any landscape, in the Russian landscape, becomes a specific element and a symbol absorbing both historical destiny and utopian prospect of spiritual development, and differs from the German, French, British or Chinese sky (60). Elena Bagina is worried about the future of the Boulevard and the Square in general and in Yekaterinburg in particular. She thinks that these important elements of the urban interior are likely to disappear (66, 70). At the same time, Petr Kapustin is interested in an Obelisk as an element of the Square, a needle stitching the sky to the ground (76). Then Petr comes down from the vertical of the Obelisk to the movement along the horizontal embodied in a Threshold and a Portal (80). GRIGORYEVA, Elena. elementary. 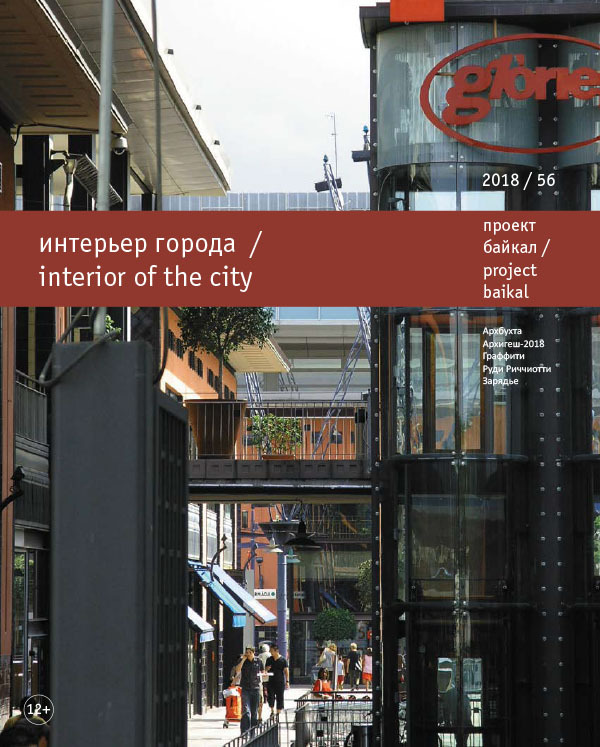 project baikal, Russian Federation, n. 56, p. 59-59, aug. 2018. ISSN 2309-3072. Available at: <http://projectbaikal.com/index.php/pb/article/view/1322>. Date accessed: 23 apr. 2019. doi: https://doi.org/10.7480/projectbaikal.56.1322.